The excitement of making a room addition to your home incites jovial heal-clicking jumps worthy of appearing in a Prozac commercial. But just imagine tearing down that wall only to discover a colony of sable, black mold spores more revolting than the talon scratch-marks left in your hardwoods from Satan himself. A devastating mold problem can run rampant like it is on an obsidian destruction spree and cause even the cheeriest sport to sit huddled in a blanket down in the basement reading a copy of ‘The Bell Jar’ by Sylvia Plath while grinding his teeth in bitter ennui. Life is too short to allow black mold to drop a mourning veil over your brow as a symbolic gesture that your inner child’s crawling demise is slowly approaching death’s door like a choleric missionary blindly stumbling through a Congo jungle. 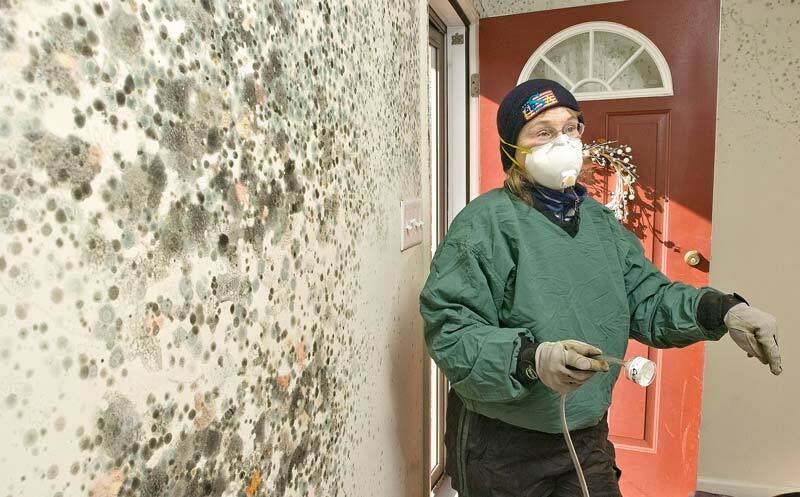 If you want to avoid such misery, then listen to the top Connecticut mold removal company and learn how you can prevent household black mold from turning your happy homestead into a pit ripe with the pangs of pestilence. How does Mold Grow in a House? Mold grows in a house when outdoor mold spores are carried indoors and settle in moist, humid areas. Some of the most common places for mold to grow are in areas of a home where pipes run and produce condensation or suffer from slow leaks. You could have a mold spore colony in your walls, under your floor or in your ceiling and be none the wiser. This is why calling a water damage restoration Connecticut company is so vital to mold prevention in the event a pipe is posing a threat. Virginia Woolf may have flung herself into the River Thames with heavy rocks in her pockets thus ending her life from the “psychological mold” that tainted her better judgment, but you don’t have to follow suit by disappearing beneath the surface of the Connecticut River due to a nasty mold problem! Mold prevention will be your life-preserver; true these words. How can I Prevent Mold Growth in the House? You can prevent mold growth in the house by making sure your plumbing and appliances are in good working order. Most water damage companies offer a free mold inspection and will check your pipes for any warning signs. But you can inspect your appliances for any leaking pipes or cracked hoses. You should also inspect your faucets to ensure there are no drips—a sign that you may need to replace the washer or o ring. Dripping faucets can cause moisture to cling to your wall or tiles and slowly produce a colony of mold spores. Finally, have your roof inspected for potential leaks and have the padding under your shingles tested for mold. Mold is as depressing a spectacle as watching a puppy fall down a mine shaft. The last thing you want is to slowly fade into a vortex of stygian ennui. Don’t let Mozart’s Requiem Mass be your life’s soundtrack—fight mold with the power of prevention knowledge, and turn that tune around to Everyone Wang Chung Tonight! –In honor of Tom, a learned man whose knowledge flexes a vanguard no mold can withstand.